Achieving Equilibrium: Good News x 2! Whew! This week just flew by for me and I have no idea where the time went! I'm trying to figure out what exactly I've been doing...honestly my head has been a bit cloudy for the past few days. Time to focus on the present and find some clarity. Maybe part of the reason I'm in such a fluster is excitement over a couple of things I found out about this week. 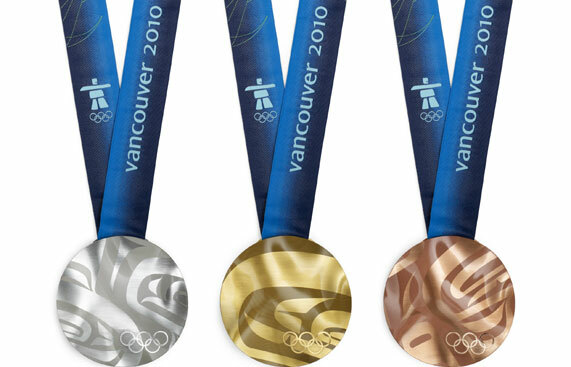 On Wednesday afternoon I found out that have been nominated for the Governor General's Gold Medal. This award is given to the PhD graduate with the most outstanding academic record at each university. Each department is asked to nominate their top student and my department (Experimental Medicine) picked me! The competition is pretty stiff because there is only one award given each year out of all the graduating PhD students so my application will be ranked against all the other students in different departments (e.g. students in Math, Chemistry, Physics, English, etc). Either way, it is really an honour just to be nominated (cliche but in this case, very true). Since it's very difficult to determine the top student in a thesis-based program they'll base it on a number of factors including publications, awards, references, etc. It really is comparing apples to oranges - how do you compare someone with a PhD in Social Work to one in Engineering?? I won the Governor General's Bronze Medal for being the top academic student in my graduating class at the high school level and it would be amazing to have the Gold Medal too. I really really doubt that it will happen, but it would be pretty cool! In any case, I am thrilled to be chosen as the top Experimental Medicine student (out of about 40-50 graduates). Note: There are 3 levels of this award. Bronze at the high school level, Silver at the Bachelor's level, and Gold at the Masters/Doctoral level. One more big piece of news, also related to my work. Back in October I applied for a post-doctoral fellowship from a Breast Cancer funding agency and I found out yesterday that I was awarded it!! It turns out they only gave out one award in all of British Columbia and the Yukon, so I feel very lucky to be the recipient. This award pays my salary + benefits for the next two years, so it benefits both my employer (because he doesn't have to pay me, so the money can go into doing more research) and me (because I get a significant pay raise!). Also, my job is now secure for at least two years, which is always nice to know. I feel very happy to have my work recognized and deemed worthy of funding. I am currently doing breast cancer research - we are studying metastasis and developing treatments to stop breast cancer metastasis. In other news, I hit my goal weight again yesterday morning for the first time since the beginning of December! But then there was some serious celebrating last night with Evan and my lab mates after I found out about the fellowship. I didn't do too badly, all things considered but this morning (unsurprisingly) I was up a couple pounds. But I am back on track again and planning on weighing in within my goal range on Tuesday! WOOOO HOOOOOO Dr. Melisa!!!!!!!! Congratulations on BOTH pieces of good news. I'm proud of you!!!!! YAY!!!!!!!!!!!!!!!!!!!!!!!!!!!!!!!!!!!!!!!!!!!!!!!!!!!!! Oh my goodness that is awesome! Congratulations on both fronts! !